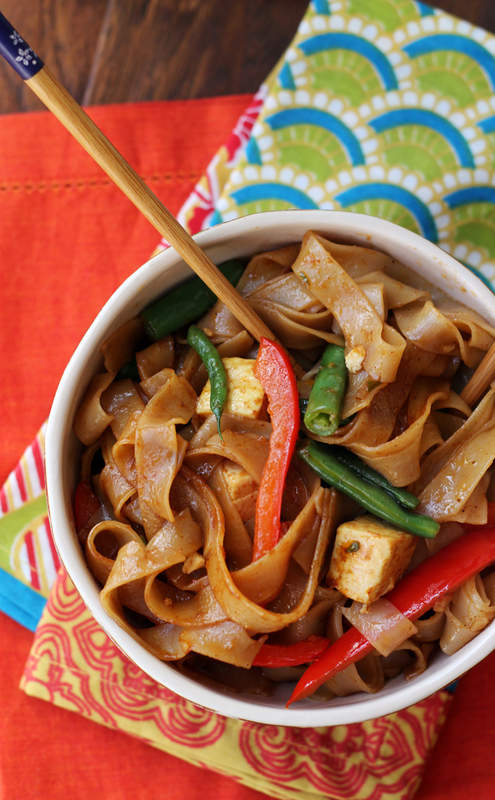 Thai take-out at home is easy when these spicy salty delicious drunken noodles with tofu and peppers are on the menu! In the words of Austin Powers. I think I lost my mojo. Somewhere in-between box number 23 of the cookbooks the.boy insisted that I probably wouldn’t need for the next week or so (<–LIAR) and an extra large pitcher of sangria that was meant for five, but that we shared between the two of us, I’m really hoping that I either misplaced it in my highly tipsy state or that it got packed. In the.boy’s highly tipsy state. Either way, I have not felt like cooking a single thing in the past week. Which, if you know me, is not only blasphemous, but highly uncharacteristic. Someone should probably take my temperature. Or pry the pitcher of sangria from my hands. Or pack my whole apartment for me. Luckily, these drunken noodles don’t require much mojo or motivation, just a hot wok, a few handfuls of veggies, and less than a half hour of our time. The end result is so salty spicy deceptively similar to the addictive concoction that comes in our local take-out box, that we might never reach for the fast food menu again. That pitcher of sangria, though? I make no promises. Meanwhile, heat the canola oil in a large wok. Add the tofu to the pan and fry, turning a few times, until browned on all sides. Add the red bell pepper, chili pepper. garlic, and string beans to the pan. Saute for 4-5 minutes, or until crisp tender. Meanwhile, in a separate bowl, stir together the soy sauce, hoisin sauce, gochujang, and sesame oil. Add to the wok and stir until all the veggies are covered in it. Cook the rice noodles according to package directions. Drain and add to the wok. Saute for a few minutes and then serve with extra gochujang and soy sauce for seasoning. They look so good! And exactly what you need in the middle of moving. I’m sure you’ll get your mojo back soon! And I’m sure that these noodles will be helpful along the way! They look fab! Wish I could just pull that bowl of tofu out of my computer and start eating it now! I’ve lost my mojo many times……but it always comes back. You’ve had a lot going on. Just enjoy the sangria for now! I love drunken noodles, Joanne! I have always loved flat noodles in particular. : ) I hope your cooking mojo comes back in full force but looks like your limited mojo is still pretty fierce. I’ve got to try this dish. Looks awesome! Yummmm! Sorry you haven’t felt like cooking lately but it’s totally understandable with everything you have going on. Hang in there! Being forced to move would kill anyone’s cooking mojo:-( Hopefully you will be in a fantastic new apartment asap and the cooking desire will be back! These noodles sound amazing! Love the addition tofu and all the flavours are delicious! i totally understand the lack of motivation to cook…you are going through a lot dear, its okay to be on sangria diet for a little bit. i hope the new kitchen will bring in a lot of inspiration 🙂 i have been wanting to try drunken noodle from scratch lets see if i can make it happen. You will get the mojo back soon!! Although I disagree u lost it when you are making this! Pass me a bowl please!! I dunno bout you losing your mojo girl – ’cause this dish seems to be packed with it – not to mention other amounts of deliciousness! 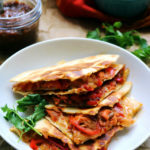 I’ve never used “gochujang” before and am totally intrigued – thanks for another awesome mojo-packed dish! P.S. 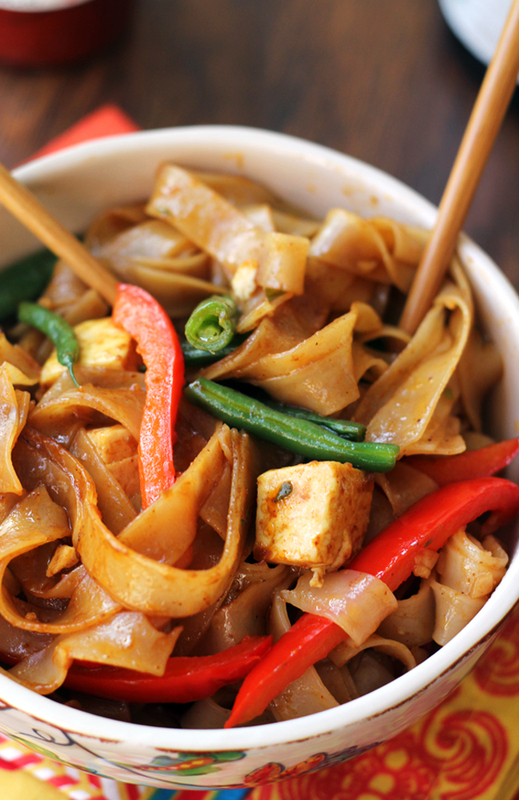 If i was in NYC I would come help you pack – as long as you kept the drunken noodles coming! All that packing..I don’t blame you for not wanting to cook. Bringing the takeout fakeout in while going through a move is a fabulous idea. LOVE me a saucy noodle! Moving always kills my cooking mojo. Hang in there! And no one would know it from this recipe. You had me at druken…and then noodles. we all lose our mojo every now and then. this probably means you need a break and if you’re in the process of moving, well then, girl, you definitely need a break! 🙂 I’m all for making Asian food at home. . it’s really so easy. . and you’ve managed to make one of my all time faves. Drunken Noodles. love these so much. Packing will take the motivation away from the best of us!!! 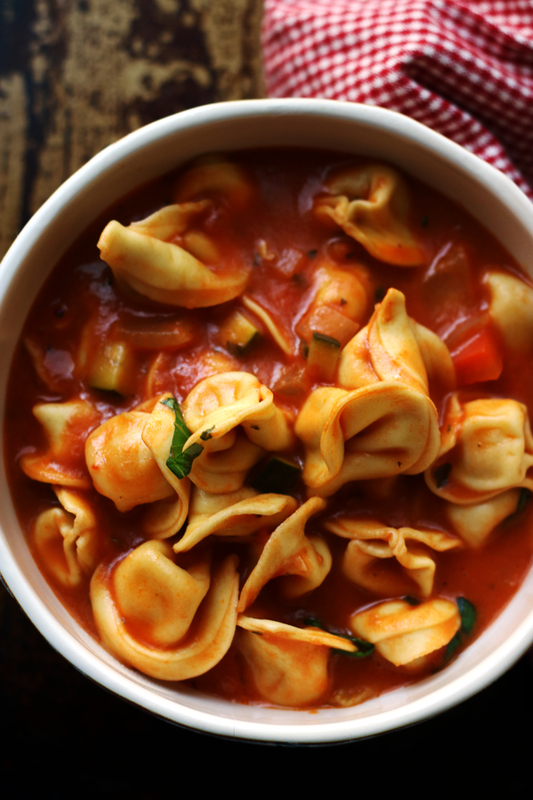 I love these noodles, and love that it is so easy to make! No excuse now for ordering delivery when I can make something just as quickly – and that tastes better! Mind looking for my mojo while you’re at it? I’ve just been so blah about cooking lately and just want to take a nap while dinner magics itself onto a plate. Maybe I can convince Josh to make this for me? Love the sauce for this Joanne, drunken noodles are my favorite! Good luck with the packing! Sorry to hear about your moving woes. I am making tofu more now and this looks like the perfect meal! I have found that the elusive ‘crispy’ tofu is a real challenge. Happy to stop trying to make something like marshmallow crunchy and eat it as it is. Once in a while I don’t feel like cooking for a week too. And it is usually in the dead heat of summer when I don’t feel like doing much of anything but cooling down. 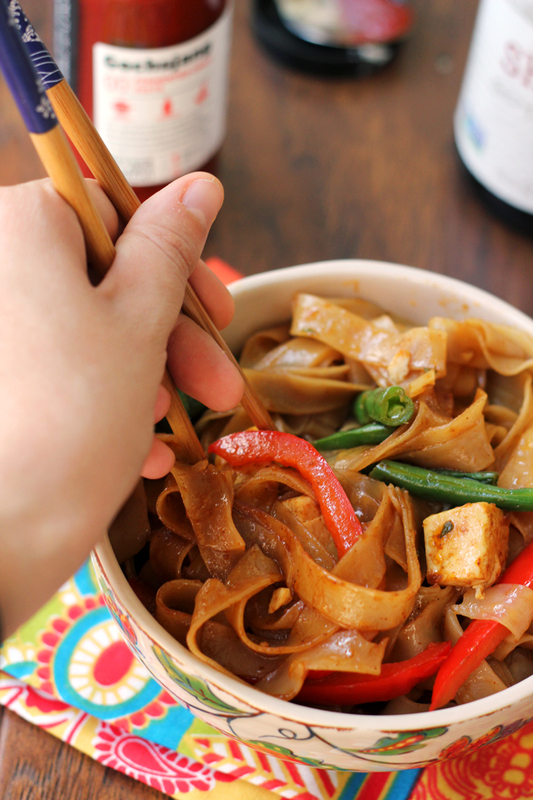 I love recreating take out at home and these drunken noodles look perfect! I wish I was having this for lunch right now! Love spicy drunken noodles. I love the sound of this dish — good luck with the packing! We all have those moments, don’t we? Hopefully you’ll use this time to relax and recharge so you can continue to share with us your mad skills ;). 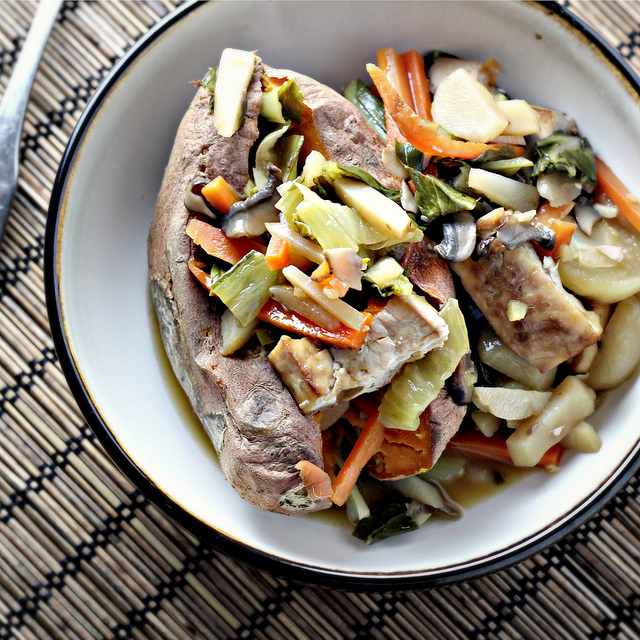 I love quick and easy recipes like this one..a must have! Love the addition of gochujang too. It’s really hard to cook and pack effectively. I’m sure you’ll find your mojo when you settle in your new place. Damn girl you got me craving noodles! YUM! Love, love, love drunken noodles! I feel like we all lose our cooking mojo once in a while. That’s when I order take out. There is something so comforting about staring a nice bowl of noodles in the face. Hope you get your mojo back, Joanne! Totally know the feeling and noodles is always the answer! 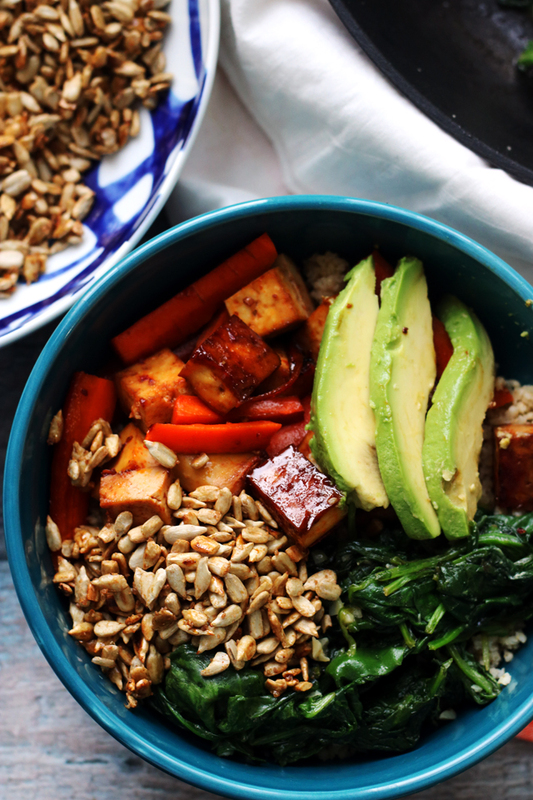 Love how comforting this big bowl looks! Once your moved into the new place you’ll feel like cooking again, I just know it! But you can keep recipes like this coming in the meantime…you know I love me a quick weeknight meal! 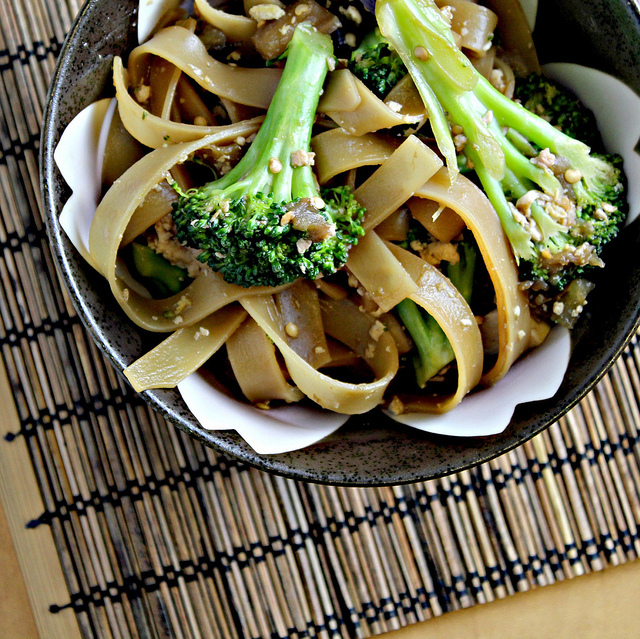 Flat rice noodles are actually my favorite, more than pad thai! Cheer up!!! You need to get your mojo back. Those noodles look sooooo good (: thanks to you I’m now craving some noodles for dinner! 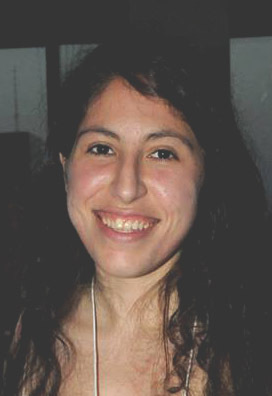 S.
Good luck with your move, Joanne! After it’s over you totally need to kick back with that pitcher of sangria you were talking about. 😉 Maybe even a bowl of these gorgeous noodles too! Gorgeous looking bowl of noodles! Moving and packing will always sap a person’s mojo, but especially when one had no plans whatsoever to move in the first place. Hope you’ve found a new spot that you’ll love and the unexpected move goes well. I am on a noodle binge the last couple of months. I haven’t been indulging myself enough. This looks like the PERFECT push. Oh Noodles Noodles Noodles! WE love Thai and WOW – this looks amazing! Who needs to go take out with your recipe. Thanks! PS …Stunning photos too! Pinned. Making soon! Thanks, as always! I *adore* drunken noodles, they’re my Thai restaurant regular. Yours look perfect. I totally understand the moving stuff…is it just life in the city? The cities themselves are great but the apartments never are. But GOOD LUCK! It WILL be over-with, soon enough. Well you pack my apartment, I’ll pack yours? 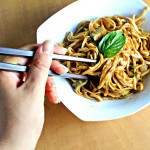 This looks even better than takeout and I love how easy it is to make! It doesn’t look like you lost your mojo from where I’m sitting! 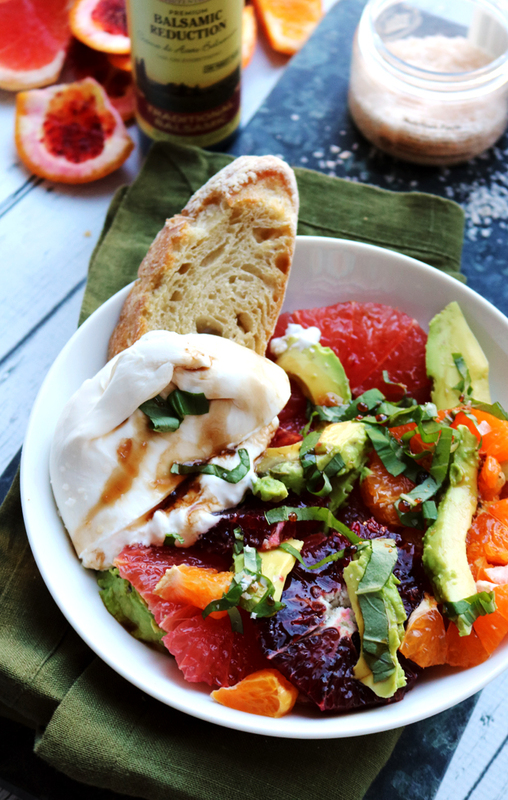 For someone that has lost their mojo, this dish looks pretty darn yummy. I am sure that things will get better. 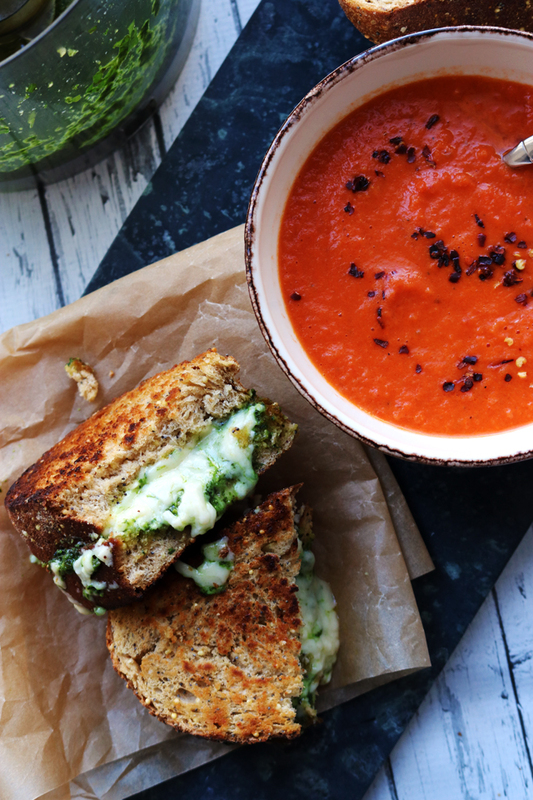 This looks like a perfect lunch! 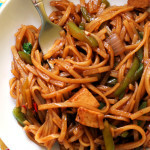 Tofu and rice noodles..fantastic together! No mojo? – You could have fooled me. This looks scrumptious! Hope the packing is going as well as can be! I think you’ve still got your mojo judging by these noodles. They look mouthwatering! I would gladly help you pack for a bowl of these. Good luck with moving, you definitely deserve a break from cooking after all the madness you’ve had to endure lately. Sounds like a perfect quick meal. Sorry about the packing – hugs! Happens to the best of us. I’m sure you’ll get it back! The noodles look awesome. I love dishes like this but don’t cook them at home nearly enough. Wow, this looks totally amazing. 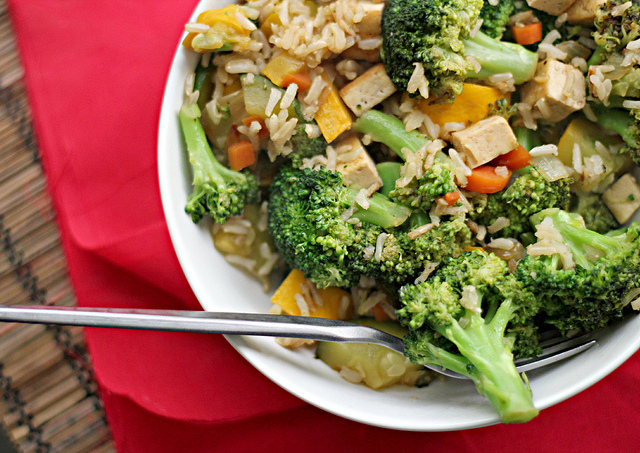 I need to cut back on my grain intake, but even so I could make this and double the veggies. Joanne, you’re killing me with this picture. I can totally relate. I recently moved and was not in the mood to cook anything. It was a lot of veggie burgers and rice going on. Now that everything is settled and I’m not so stressed out, I’m back to my old routine of trying new recipes. You’ll get your mojo back. Just gotta let life simmer down and before you know it you’ll be making a mess in the kitchen again. This sounds perfect! I love Thai food and actually just got some drunken noodles a couple of weeks ago. Just moved into my apartment as well and just keep staring at the boxes hoping they’ll unpack themselves. I’m like…next time, we’re paying someone to move us. They can pack and unpack and do all the work. This looks full of mojo to me! 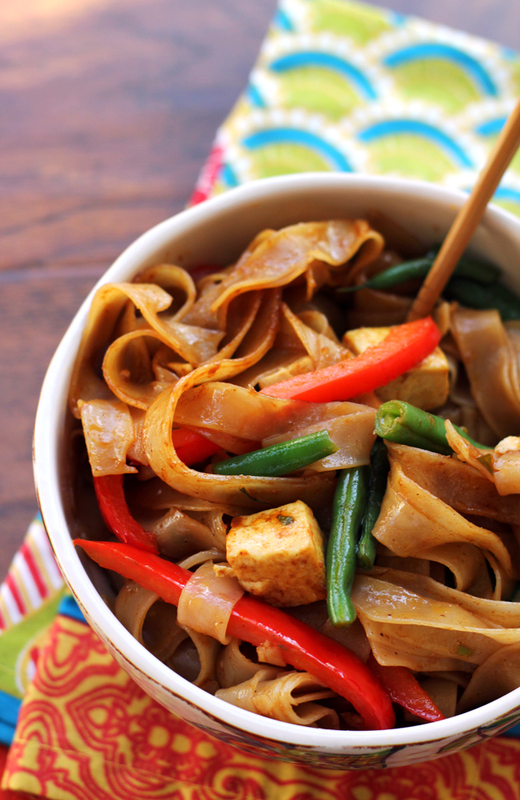 Drunken noodles, you can come hang out on my table any time. 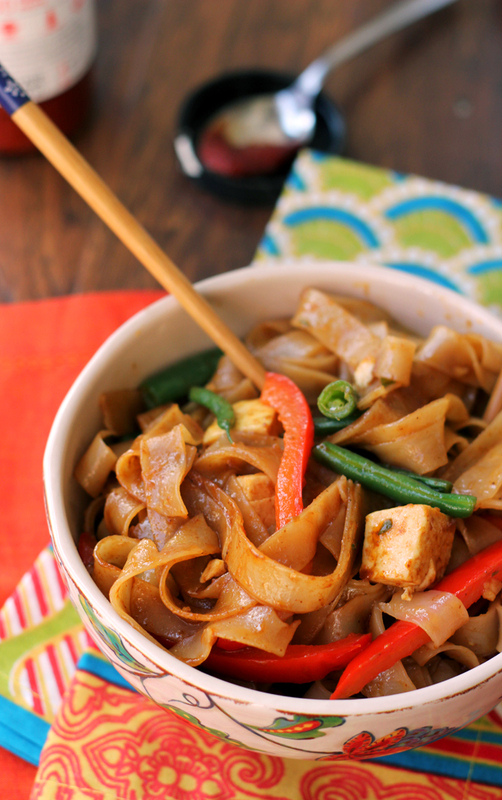 Drunken noodles is totally one of my favorite Asian recipes to fix. I love the flavors. Your version is so different from mine. I must try it and buy that sauce next time I am at the Asian market! 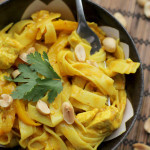 This looks fantastic – drunken noodles are my favorite when ordering take-out Thai, but it’ll be super nice to be able to make it at home, since my new school-year resolution is to eat out less. Thanks for sharing the recipe! Also, I feel like everyone earns a free pass to skip cooking for at least 2-3 weeks while packing/moving/unpacking – I certainly took a break for a few weeks this summer while moving! Thai? Tofu? Noodles? YES YES YES. (Also, sangria OBVIOUSLY). I made this! It is delicious! Topped it with an over medium egg, because why not. 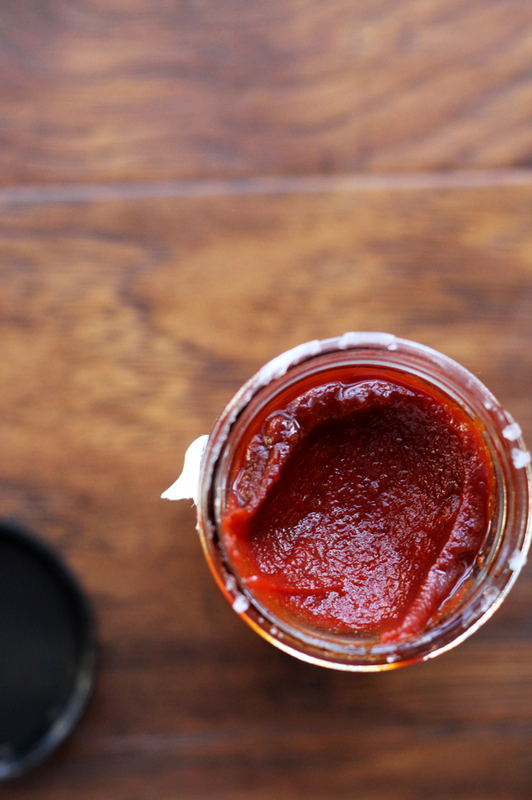 I personally would go heavier, way heavier, on the gochujang because I love it. And I used half the noodles (8 oz dry). Thanks for the recipe!